Richard Jordan: Has theatre, and its audiences, become oversensitive? A series of separate incidents at the theatre in recent months has left me with the troubling question: is the need to be seen to do the right thing making us over think sensitive situations, and overreact to them too? It began when I attended a performance of the West End production of US musical Heathers, an adaptation of the 1988 cult film. During the story, the protagonist attempts to blow up his high school. “There’s no way this show is appropriate in the US anymore,” the person sitting next to me said to their neighbour at the end. Their evident concern was the subject matter reminded them of the all-too-frequent mass shootings at high schools in the US. 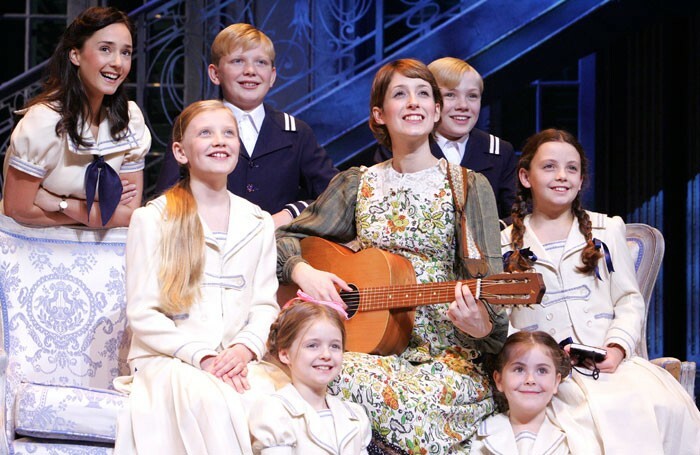 A few weeks later in the US, according to reports, the principal of La Guardia High School in New York, a performing arts school where the TV show Fame was set, banned Nazi symbols from her school’s production of The Sound of Music. Rodgers and Hammerstein’s musical deals with the true story of the singing Von Trapp family who defied the Nazi takeover of Austria. The principal’s decision was to avoid causing offence among the audience members, but this is a troubling path if history is erased in doing so. Last month, I went to see Martin McDonagh’s new play, A Very Very Very Dark Matter at London’s Bridge Theatre. It had received decidedly mixed reviews. However, the shocked reaction of many audience members watching it was what surprised me most. At the end, several people were vocal about their disgust of the subject matter. The play’s premise is that the writers Hans Christian Andersen and Charles Dickens each have the dark secret of keeping a Congolese sister locked up who write their stories for them. It was on the extreme borders of good taste though it was McDonagh’s attempt at mirroring a grotesque gothic fairytale. While it never fully achieves its true potential, the concept, ambitions and fearlessness of the work, for me made it one of the most riveting new plays of last year. And for an audience choosing to attend a McDonagh play, surely there has to be some expectation as to what you are in for by now? This revival saw an interesting shift in opinion from the rave reviews previously praising Letts’ “hilarious” and “admirable” writing that the original production had received leading on to subsequent revivals and a movie, to the now generally hostile reception that this latest production and its subject matter received post-MeToo. Broadway is currently gearing up for a new revival of Kiss Me Kate. It’s one of the big shows of the season, carrying high hopes come Tony time. Cole Porter’s 1948 musical is loosely based on Shakespeare’s arguably most contentious play The Taming of the Shrew. However, this production will feature a revised book that has claimed to better address the balance, attitudes and politics between its male and female lead characters for these times. This culmination of events leaves me questioning whether we are facing a dumbing-down of work, the result of an anxious industry in which no one wants to get a bad rep on social media. In revising scripts for fear of causing offence is the industry not trusting the audience to be clever enough to see the issues a play explores today in contrast to when it was written? I am not for a moment saying we mustn’t be sensitive and respectful, but simply rewriting or erasing parts of a play because of today’s sensibilities is not necessarily the solution. There is a certain arrogance that has grown during this decade of ‘fixing things’ which began with musicals and has expanded into drama. But there is danger that it has become increasingly fashionable in theatre to find a show to revise and fix as a way of making your mark. In theatre, we need to provoke, to challenge and be challenged. We need work that makes us angry, which compels us to debate it. This is the era where we have more platforms to express our opinion than ever before, but it has also led to ever more aggressive interaction towards those we disagree with, especially online. There can be a pack mentality where someone is judged simply for not hitting “like” to a comment on Facebook quickly enough. We cannot rewrite history, instead we must learn from it. Pulling Nazi props out of a college production of The Sound of Music does not erase what happened. I also believe audiences are smart enough to recognise and reflect on such imagery within the context of the show rather than take knee-jerk offence. Today, for a new play such as McDonagh’s or a contemporary revival that may push boundaries, any negative reaction, especially one that goes viral, may make theatres nervous of programming risky work – especially coming at a time of possible funding cuts. In the US not-for-profit sector, where many remain influenced by their boards’ agendas, political work that could split its Democrat and Republican board members will make the theatre nervous – they do not want production choices to risk losing any valuable funding. This all leaves a very fine line for the theatre industry to walk, ensuring it does not become self-censoring. Balance is needed, because if theatre becomes about trying to appease everyone, then it runs the risk that the work being produced ends up unchallenging and with nothing to say.